The flexibility to combine two different degrees to create your very own study program. Tailor your studies to perfectly qualify you for your dream job, or follow your head and your heart and combine a very practical degree with another in a field you're passionate about. Whatever approach you take, you'll graduate with two qualifications and employers knocking down your door. 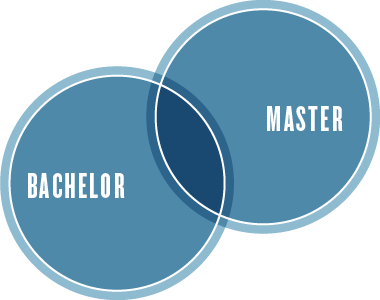 Mix your degree to match your passion. With a Flexible Double Degree from ANU you can satisfy your curiosity and keep your career options open. Study two Bachelor degrees at the same time and graduate with two qualifications. Two qualifications mean a clear advantage when applying for jobs and could even double your employment prospects. 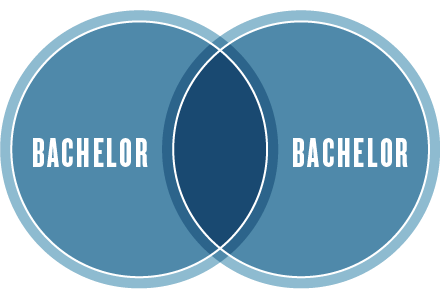 You’ll have the same full-time workload as a student doing just one Bachelor degree. With over 750 possible degree combinations, you’ll find your perfect match. If you’ve got a ‘go hard or go home’ attitude, then a Flexible Vertical Double Degree is for you. Get a head start on a Master degree and gain knowledge, skills and experience to equip you to work across a broad range of roles and organisations, anywhere in the world. Study a Bachelor and a Master degree in one program and graduate with two qualifications. Get credit for related areas of study, so you can save time (and money) compared with studying a Bachelor and a Master degree separately. Stand out and stay competitive in the global jobs market with a Master-level qualification. Look at the degrees you can combine - take your Bachelor and Master degrees in the same field to give you depth of knowledge and specialist skills, or take your Master degree in a different field to broaden your knowledge and develop your transferrable skills. You won’t find this degree program anywhere else. ANU has pioneered the Flexible Double Master Degree so you can study two Master degrees at one time to strengthen your expertise, fast-track your qualifications and supercharge your career. Offered through the ANU College of Arts and Social Sciences, head to their website to learn more.